This weekend we had some Christmas markets by the Broadwater. It wasn’t that hot outside so you could walk around without getting overheated! I had some Christmas coloured yarn left over from another project so I whipped up some hearts. I had some different cards printed to attach to the cards as well. 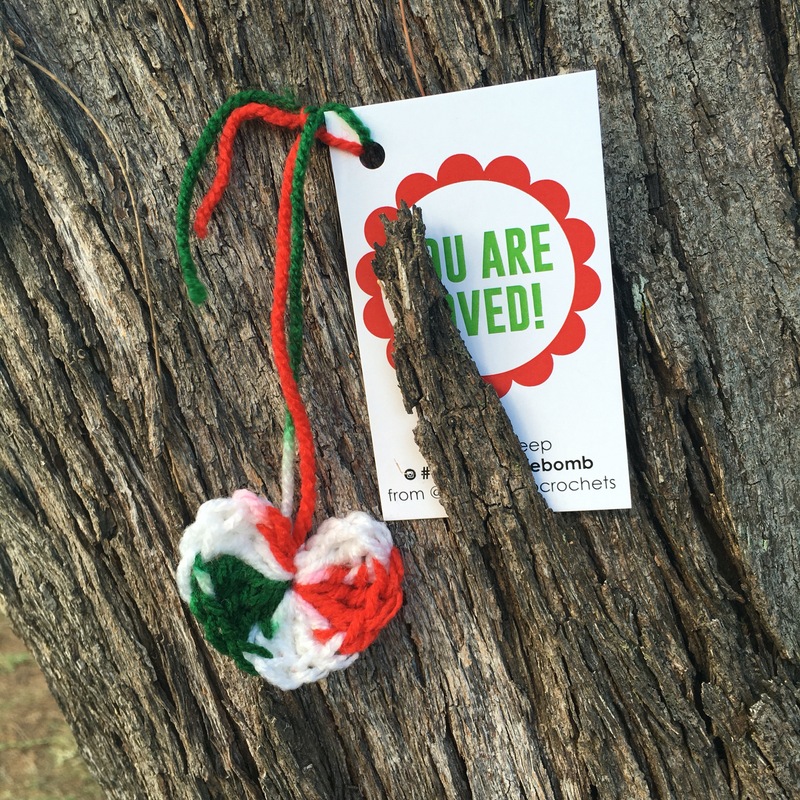 I placed about 20 hearts all over the park, on benches, in tress, and by the jetty in the hope that someone would find them and appreciate them! Next year I will continue to make and distribute these hearts. I’ve had many messages from lovely people that have found them and It makes me happy that they’re being enjoyed. Oooh! I love this idea. I’ve been wanting to get involved with the Peyton Heart Project AND always dreamed of yarn bombing. But it seems a little overwhelming to just suddenly cover a bench with yarn or something similar. Haha. This seems like the perfect way to accomplish two goals at once. It was really kind of you to do this at this time of year, as well. I know for a lot of us it’s the happiest time of the year but a lot of people have a really hard time around this time of year. I’d especially want to take these to areas where a lot of our homeless population hang out. 😀 Thanks for the inspiration.